Beaches, deep mountain gorges and vestiges of great civilizations. 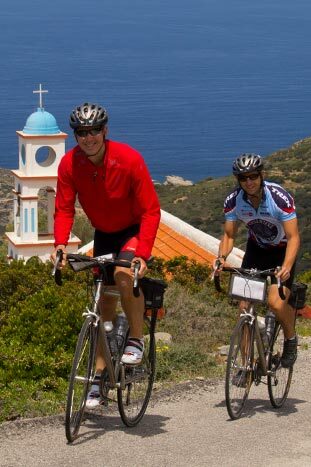 Like a gift from the gods, Crete is a cyclist's paradise. 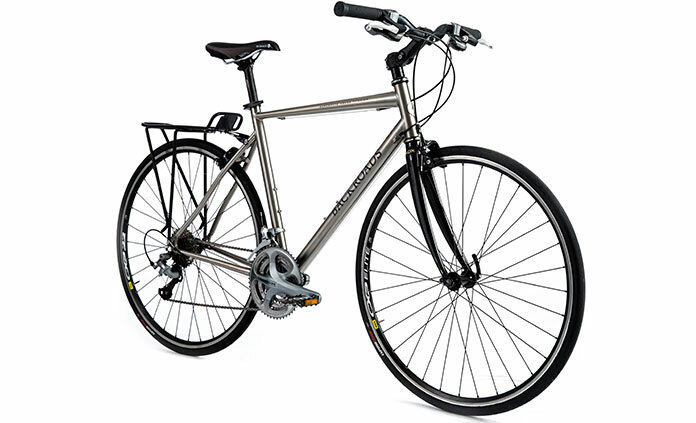 Ride quiet roads on the outskirts of bustling port towns. 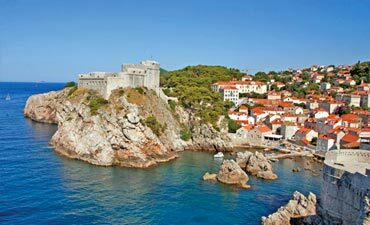 Hike rugged island terrain and savor tranquil moments kayaking on the sea. 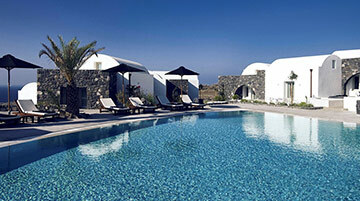 Then journey across the Aegean to breathtaking Santorini. 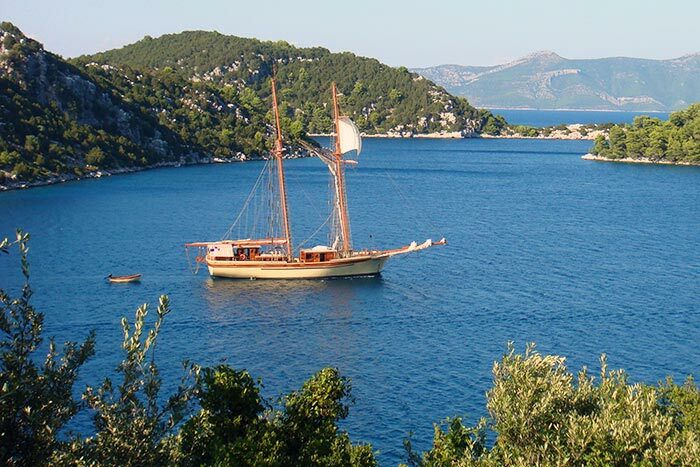 Ancient Mediterranean islands, world-class hospitality, luxurious coastal retreats. This trip is legendary. Days 1-2 Start your Cretan journey biking past tiny villages and citrus groves | Visit the Areti Monastery in Karydi, a fortified site still inhabited by monks | Savor a glass of sparkling wine during a sunset cruise | Hike tranquil paths through coastal gorges and an idyllic Mediterranean countryside | Soak up the sun over lunch at a waterfront eatery | Cool off with a swim in the dazzling sea at a white-sand beach or relax in your private pool at our luxurious resort. Day 3 Explore the ancient ruins at Lato, a well-preserved archaeological site with extraordinary panoramic views of Crete's mountains and valleys | Bike quiet roads from the island's rugged interior to the Aegean Sea | Sample regional dishes and enjoy Cretan hospitality at a local taverna | Hop aboard a boat for an excursion to neighboring Spinalonga Island | Find your balance in a yoga class by the beach or pamper yourself at the spa. 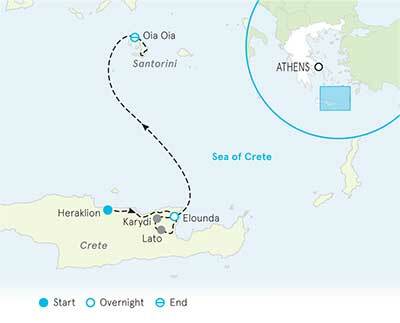 Days 4-6 Ferry across the jewel-toned Sea of Crete to awe-inspiring and alluring Santorini | Wander through its picturesque mazelike walkways, past the island's signature blue and white buildings that climb uphill like an architectural bougainvillea | Hike one of Santorini's most scenic volcanic trails | Take in iconic vistas and a peaceful morning from your kayak | Visit a wine museum and taste crisp, volcanic soil-grown local varietals | Luxuriate in the elegant simplicity of Santo Maris Oia, a Greek Isle oasis | Capture the beauty of the Cyclades during a walking photography tour for a perfect lasting memento. From $5,299 - $6,099 pp dbl. occ. 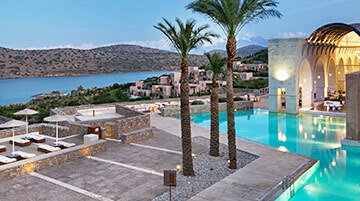 Crete is renowned for its spectacular mountain ranges and dramatic gorges. The routes on this trip take you through the best of this diverse landscape, with some steep ascents and descents. Level sections of riding are few and far between, and the winters can leave the roads weathered and worn. Also note that some routes follow quiet winding roads with minimal shoulder and few guardrails.We'll flatten some of the hills with strategic shuttles to give you a boost (and to bypass some busier areas), but you should be comfortable with some long downhills or hopping in the van for a lift. In order to access the most scenic biking routes and significant points of interest on this trip, strategic shuttles are incorporated into several days of our itinerary. Most will be limited to an hour or so at a time, but on some days you can expect to spend a bit more time in the shuttle. 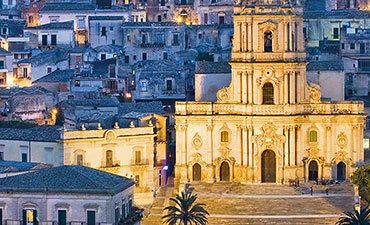 Rest assured that we have planned our itinerary to make the most of our time on this spectacular island. So sit back and relax, knowing that someone else is doing the driving, and enjoy the beauty of the journey. 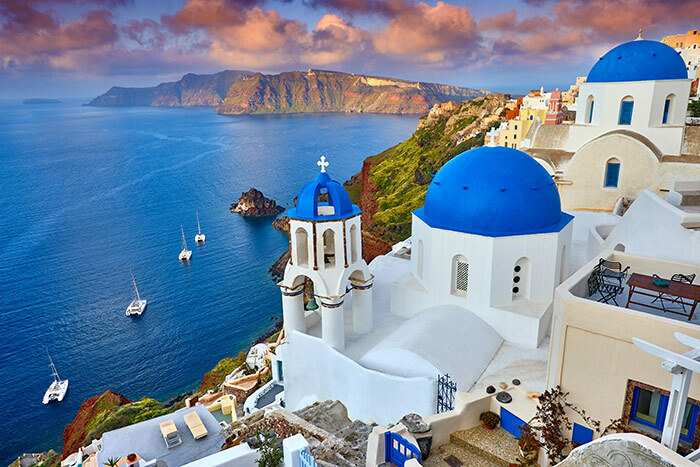 We travel by public ferry across the Aegean Sea to access the wonders of Santorini Island. Be prepared for the possibility of wet windy conditions and bring sea sickness medication if you think you'll need it. 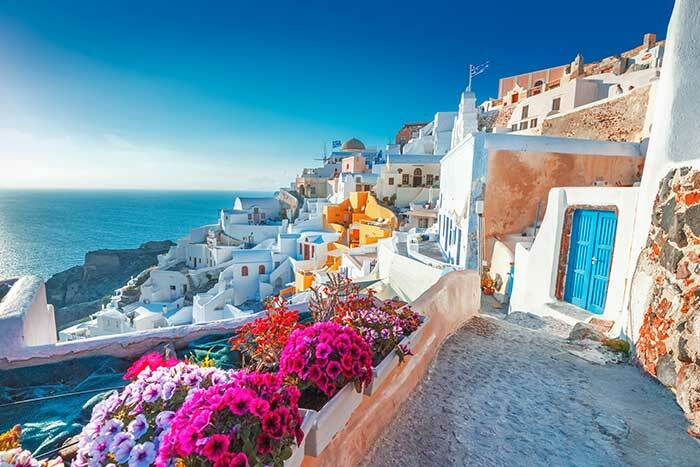 Crete and Santorini are popular tourist destinations with busy peak seasons, especially during the summer months and on national holidays. 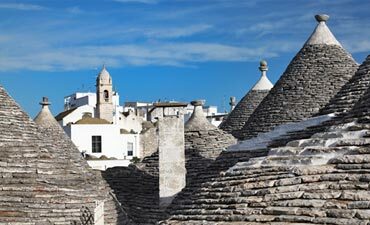 We've planned our itinerary to take you off the beaten path, but crowds are common on these small islands. 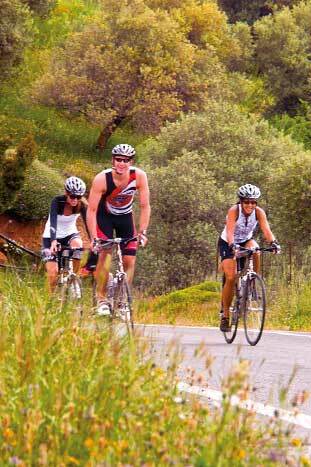 Keep in mind that summer heat can make biking and hiking more challenging. Backroads is the only active travel company providing two support vans in Greece—because we know it's essential to ensure a truly great travel experience. It doubles our ability to be there when you need us to offer hydration, lighten your load or give you a lift if it's time to take a break. Read more on why two vans make all the difference. 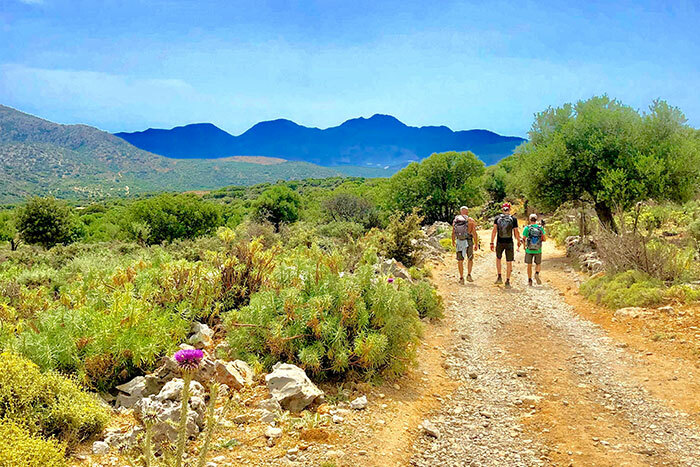 We design and support our Greece trips to suit mixed abilities and varied interests—so you can set your own pace, then change things up as the day unfolds. And all guests are free to do the same, traveling together or apart, with no one cramping anyone else's style. Which sounds easy in theory, but it's hard to pull off. Here's more on how we do it. 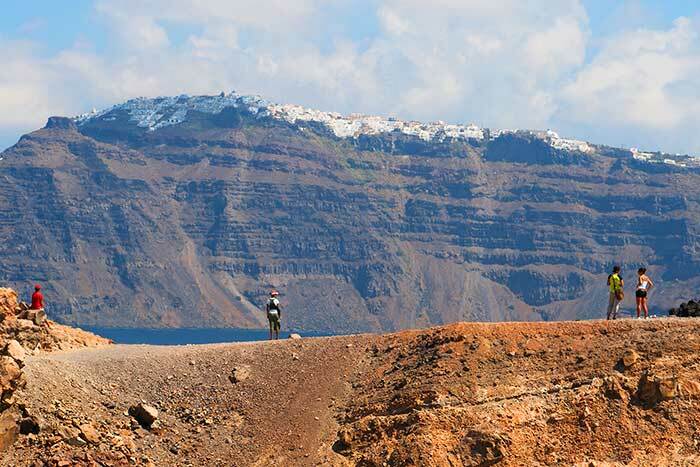 Thanks to our extensive connections in Greece, Backroads takes you off the beaten track and deep into the region's culture in ways that traditional travel can never hope to do. We know the people and their customs, the legacy of art and architecture, the complex history and politic—and if we're not sure, our amazing local experts can fill in the blanks. On our Greece trips we have an extra leader supporting you along the road—for a total of three, compared to the industry standard two. So we can be in more places at once, giving personal attention to guests traveling at their own pace. Here's more on our Trip Leaders.